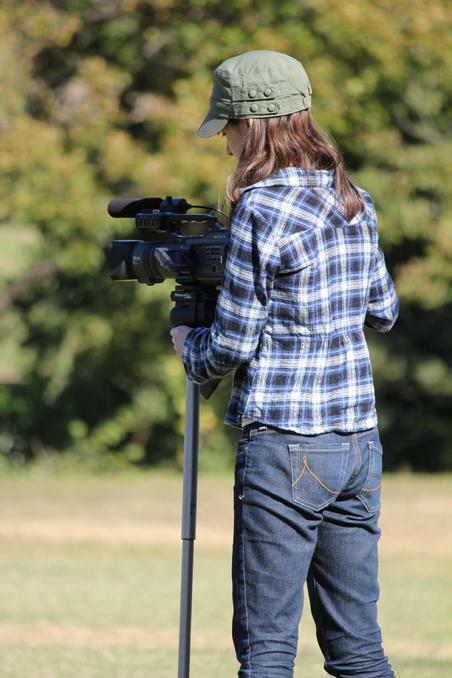 Melissa DeVarney is a Radio-TV-Film student at the University of Texas at Austin with hopes of becoming an independent film director after college. She caught the filmmaking bug when she saw the special features on the extended editions of The Lord of the Rings and has been obsessed ever since. She is an Apple Certified Pro in the industry standard editing software Final Cut Pro and has written, directed, and edited several films of her own. Melissa also wrote and directed a few episodes of the award winning webseries Studio 44: Making Evil Tree, as well as acting as an editor, stills photographer, and occasional extra under other directors. At UT Melissa divides her time between classes, work, making short films, and competing on the Texas Quidditch team. Her philosophy during film school is to explore as many different areas of filmmaking as possible, from TV writing to computer animation.